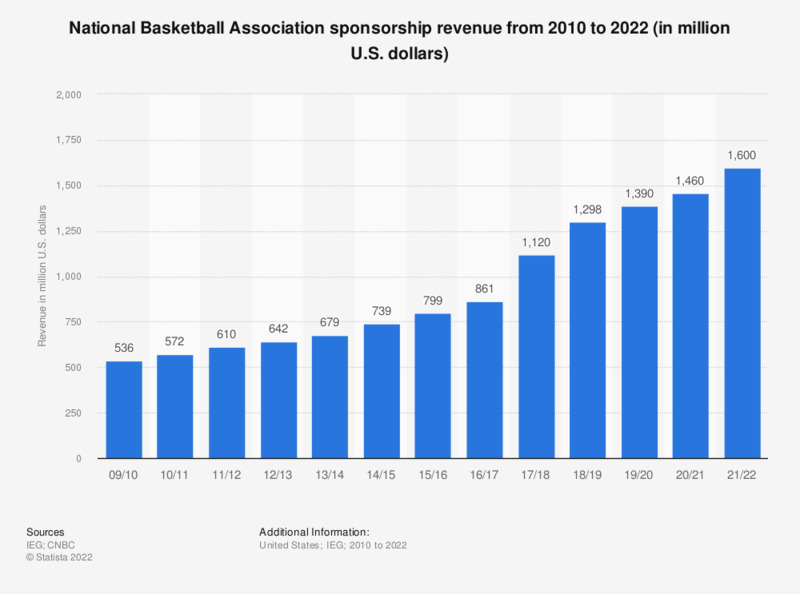 This statistic shows the revenue of the National Basketball Association (NBA) from sponsorship between 2010 and 2018. In 2017/18, the league and its teams generated 1.12 billion U.S. dollars in revenue from sponsorship. Everything On "Sports brands" in One Document: Edited and Divided into Handy Chapters. Including Detailed References.